Hard as I try to foster an attitude of gratitude by daily or at least weekly recounting all my blessings, somehow I slip into the old habit of taking things for granted until they are gone. Time, health, and finances are the top three that tend to be overlooked until they are in short supply. Returning from my recent fog of Dengue Fever, I’m particularly aware of the blessing of good health, but this week I want to talk about time. While each of us can claim varying degrees of youth, beauty, fame, fortune, and anything else Hollywood might deem important, the one blessing we all possess in equal quantity is time. 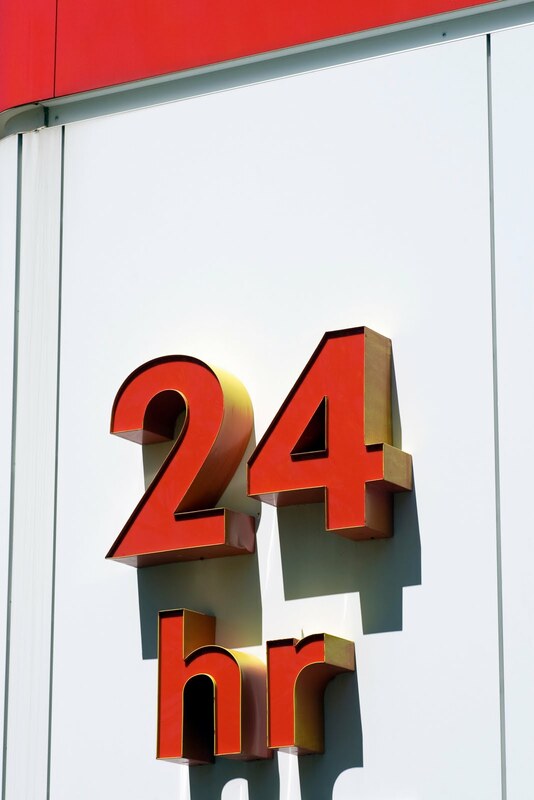 We are guaranteed 24 hours in each day. Whenever we run out of time, it just reveals that we are either overly ambitious, or else maybe we are slow learners, still struggling over the basics of life on the field. The trouble is that we continue filling our calendars and daily agendas to the max, forgetting that we are powerless to accomplish anything apart from the grace of God. We are dismayed and actually surprised when the unexpected happens (the electricity goes off, people stop by needing a meal, a child gets sick), and we finish none of the tasks we set out to do. List-checkers are particularly annoyed when their day doesn't play out according to the plan. Am I right? As the years go by, if we don't go crazy first, we learn the art of sculpting our plans in Jello instead of concrete. Even still it is a struggle. Ideally I start each day in prayer, asking God to take my time and use it for His glory. When I do this, I never have that frantic feeling that time is too short. Then and only then can I view interruptions in proper perspective. People are the reason we are here. When people start becoming intrusions, I know something is wrong. It proves I'm holding my to-do list too possessively. Again. It's ironic that I had this particular post outlined in my mind, but every time I tried to type it up, someone else was on the computer. My whole Monday was one thwarted plan after another. I wish I could say I handled it gracefully because the day belonged to God, not me. Instead I was a snarky mom all day, griping about how behind we are with school, and how I wanted to finish this post and check it off my list. Normally I love writing, but this week I was too busy fretting over lost time to ever write about time. Two weeks ago, my daughter, Debbie, was sick for two days, and we got behind in school. Last week we lost two days due to the ministry team being here. This week is a four-day week because of Independence Day on Friday. In three weeks, we have slipped a whole week behind in our school work. With my other children, I would have pushed them to make it up, and somehow we would catch up. With Debbie, it is impossible. She has Apraxia and some language-related learning disabilities that cause her to work double or triple hard on a daily basis. Speeding up the learning process is just not an option. Apparently God has another solution. I just need to give our time to Him, not just every school year, but every week, every day, every hour. Having a daughter who struggles with speech, reading, and anything language-related (which is just about every academic subject) should teach me patience. If only I could let go of my lesson plans when they don't work out. On a positive note, I am no longer teaching the ladies Bible study at the local church. On a not-so-positive note, I filled the time I "found" by agreeing to teach an elective at the Christian school, where my son Jonny attends. I gave up a one-day class in town, and committed to a two-day class in the city. Does anyone else see a problem here? IRL* I just need to give my time to Him, not just every school year, but every week, every day, every hour. ...yes, me too! Every minute of every day. ...I am asking Him to order my day. 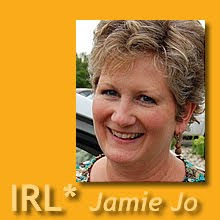 Thanks for sharing Jamie-jo. You are speakin' my language! Loved this post and will Scrapbook it into my Mom file. You know these are just "hypothetical" situations, right? Maybe, just maybe, I am disguising myself as one of the many flies on your wall. Ugh. A tracking program really does sound nightmarish, Lorinda. Life is too unpredictable. I'm thinking it makes more sense to have school 12 months out of the year, and then being pleased if we actually get it done in 36 consecutive weeks, so we could take a break. It's my expectations that are making me nuts. P.S. I've never been scrapbooked into a file before. Wow. (What does that mean, exactly?) Haha. Great post! Thanks! I needed to read this as I am now trying to get on some kind of schedule with my 3 year old and newborn. Feels like I never have enough time and despite a day of constant going from 6 am to like 10pm with one 30 minute nap. I never come out ahead. Actually I feel like things are worse, further behind and dirtier then when I got up. Don`t know how it happens. Thanks for reminding me to give my time to him every morning so I can stop stressing over it as I have been wondering how in the world anyone ever does it with more than 2 kids or moms who work outside the home. (((Rachel))) Your task is indeed impossible, so just enjoy the process. My house was a disaster for many years. Just so you know, the later kids were much easier because they had siblings to entertain them and pick up after them. Age 3 is old enough to help with tidying up the play areas. Make it an afternoon game before supper. What do I know, though? Those years are a blur. After #6 was born I gave in to (whispered) household help. School would never have happened otherwise. Ooooh, I like that: "the art of sculpting our plans in Jello instead of concrete." I need to remember that. Sure wish you'd suggested that to me about 40 years ago! Good post Jamie. It reminds me of a poster I read years ago, with a picture of a secretary with piles of paper and to-do files swamping her; the caption read, "I'm so far behind, at this rate I'll never die!" Thanks, Linda. That's not an original, but something I heard an older missionary quote many years ago. Ilona, that's great. "At this rate I'll never die." Haha. I keep telling myself that I am teaching my daughter, not the material. I, too, am forever preaching at myself. Sigh. Thanks for the healthy reminder. I think I need to re-read this post every morning first thing...I also liked jello instead of concrete idea. What Kind of Apology is That?